Ladies, if you're looking to be one run stronger, ASICS has got you covered with the latest additions to their award-winning performance running footwear line. 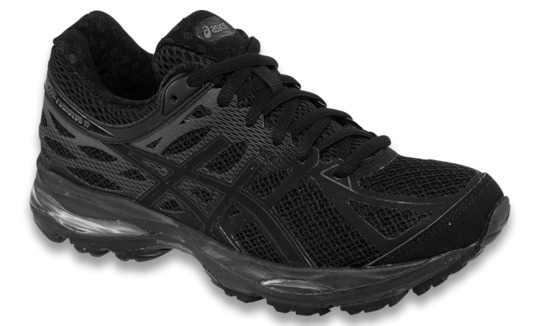 The ASICS GEL-Cumulus 17 Sneakers boasts ASCIS' GEL® Cushioning System and IGS® (Impact Guidance System) for extra cushioning and support, a new, sleeker FluidRide® midsole which provides more bounce back, and weight reduction from the previous version, a sleeker, seamless upper construction that provides a better fitting experience, reduces possible friction, and gives a lighter weight feel, and more comfortable fit. 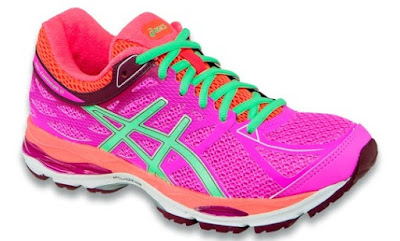 Neutral runners will love the optimized cushioning, shock attenuation, smooth ride and luxurious feel, thanks to ASICS' renowned rearfoot GEL® Cushioning unit being extended further into the midfoot. Rearfoot and Forefoot GEL® Cushioning Systems: Attenuates shock during impact and toe-off phases, and allows movement on multiple planes as the foot transitions through the gait cycle. FluidRide®: Provides the ultimate combination of bounce back and cushioning properties with reduced weight and exceptional durability. ComforDry™ Sockliner: Provides cushioning performance and anti-microbial properties for a cooler, drier, healthier environment. Seamless Construction: Reduces the potential for irritation and friction caused by the traditional stitches and seams. IGS®: ASICS design philosophy that employs linked componentry to engage the foot's natural gait from heel strike to toe-off. Gender Specific Cushioning: Women's models feature a lower-density top layer in the midsole, allowing female athletes to better enjoy the benefits of midsole compression. GUIDANCE LINE®: The vertical flex groove decouples the tooling along the line of progression for enhanced gait efficiency. GUIDANCE TRUSSTIC™: Integrates Guidance Line® construction for enhanced gait efficiency while providing midfoot structural integrity. DISCRETE EYELET: Independently placed eyelets disperse lace tension, creating a customized fit environment and enhanced upper comfort. The GEL-Cumulus® 17 retails for $120.00 and is available now at select specialty and sporting goods stores and online at www.asicsamerica.com.